The Arran range is the latest edition to the Boss Design collection of visitor, meeting and conference seating. Arran combines style and versatility to deliver a range that caters for the broad requirements of the modern workplace. The collection, which is available as a chair or accompanying bar stool, offers maximum comfort and a stitch detail on the upholstered version that is second to none. 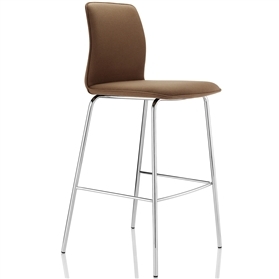 The Arran chair is available with or without arms and both the chair and bar stool are available with a choice of skid or four legged frame.